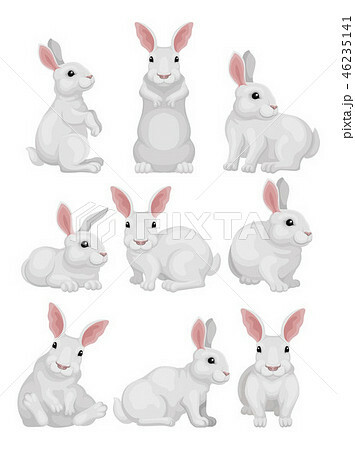 Collection of white rabbit in different poses. Adorable mammal animal. Hare with long ears and short tail. Domestic creature. Colorful vector illustrations in flat style isolated on white background.